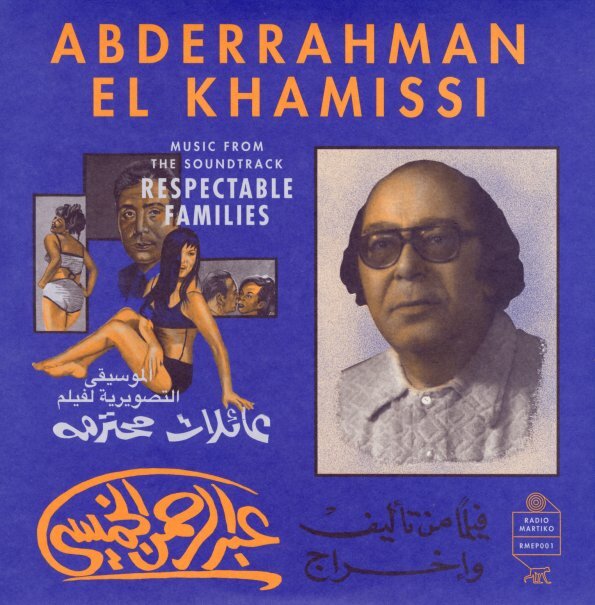 A relatively short record, but one that more than makes up for that with a double-dose of grooviness – some wonderfully cool tunes put together for the soundtrack to the Egyptian film titled Respectable Families! Abderrahman El Khamissi plays keyboards and organ throughout – often with slightly exotic tones that are mixed with funkier drums and percussion, then topped with a bit of reeds – all sounding like the coolest cuts ever recorded by Salah Ragab! There's a mix of jazz, funk, and Eastern elements going on here that's totally great – perfect if you like the music of Mulatu in that mode too – and titles include "African Dance", "Hind", "Tears", and "Faten". © 1996-2019, Dusty Groove, Inc.